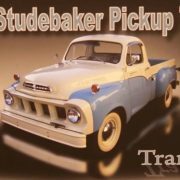 Transtar was the model name given to the line of trucks produced by the Studebaker Corporation of South Bend, Indiana from 1956 to 1958 and from 1960 to 1963. 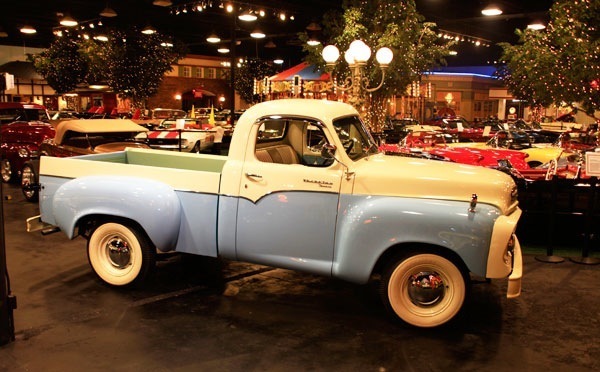 The Scotsman model was the entry level truck and the Transtar model was the top of the line. 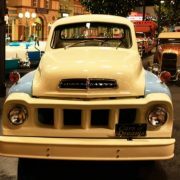 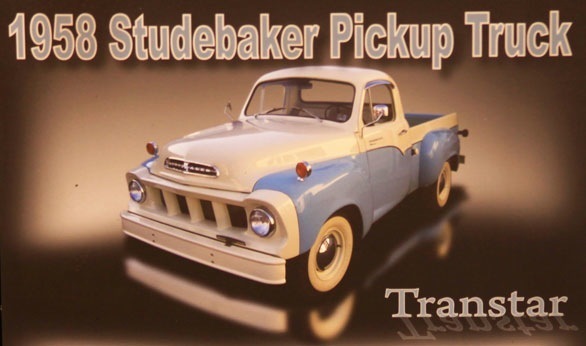 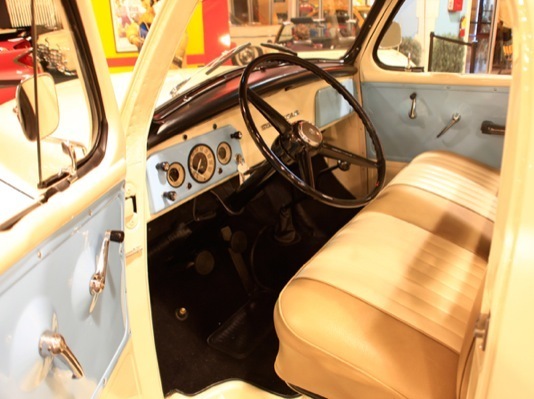 The 1957 to 1958 Transtars received an aggressive new fiberglass grille that attempted, with large success to make Studebaker’s outdated cab design look fresh and new. 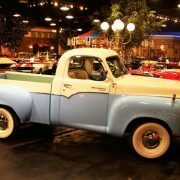 These trucks are extremely rare and becoming very collectable. 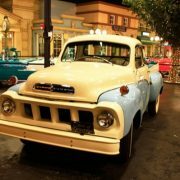 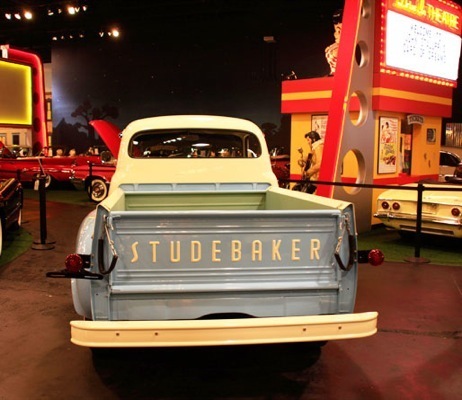 Studebaker suspended production of all its truck models when it closed its United States factory in December 1963. 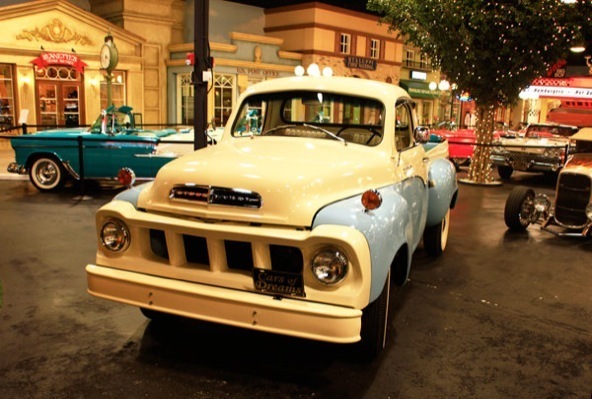 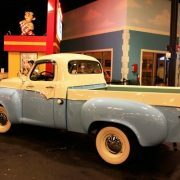 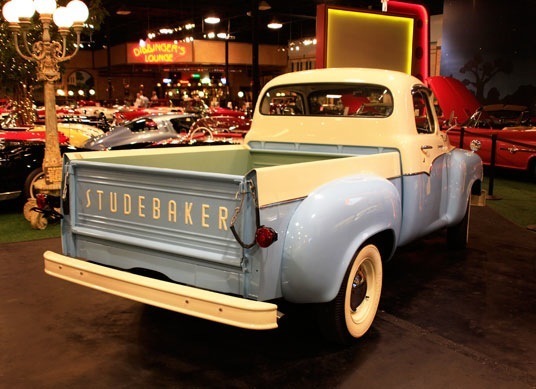 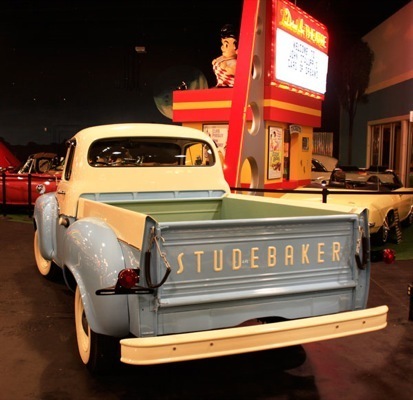 This Studebaker Transtar truck has gone through a very extensive restoration. 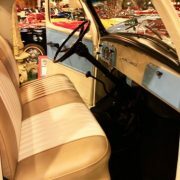 It retains all the original sheet metal and is matching numbers. 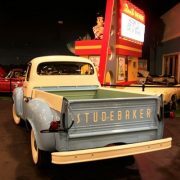 It’s even the original color combinations. 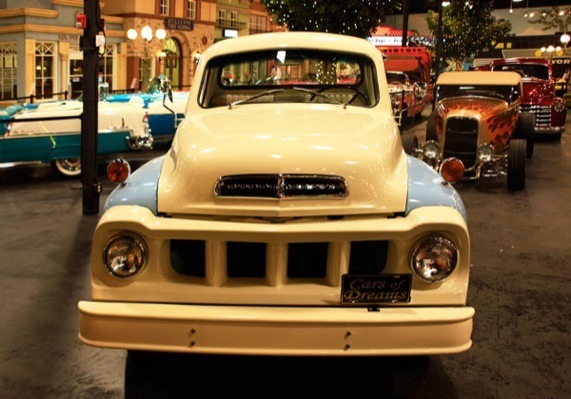 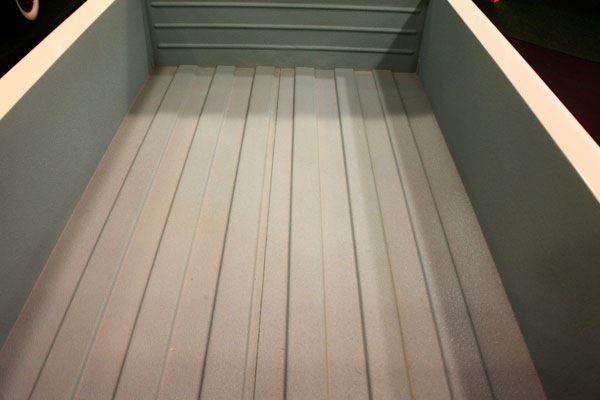 For the first time in the industry, pick-up bodies will be two-toned as well as the cabs. 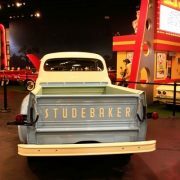 Chromed side moldings running the width of the cab accent the color break. 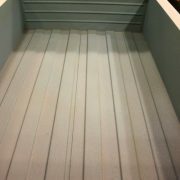 A total of 11 two-toned and seven colors were offered. 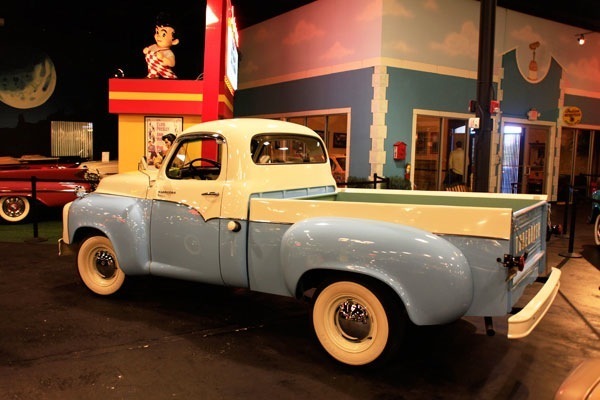 I personally think the color combination of this truck fitted it the best. 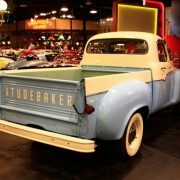 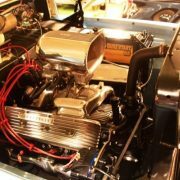 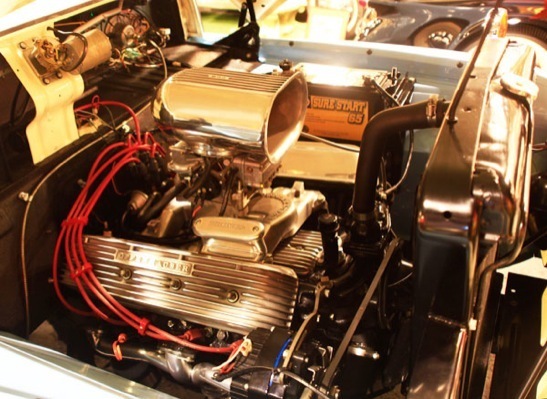 Studebaker offered four different engine options. 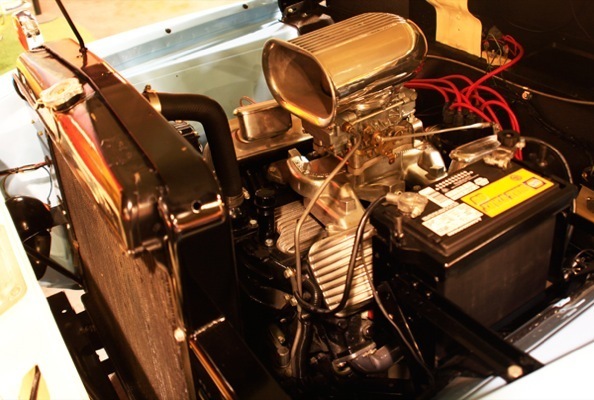 This truck has the more desirable 259 cubic inch V8 that packed up to 178 horsepower. 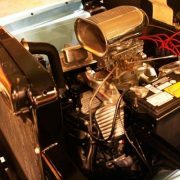 They called it, “The new Power Star engine”. 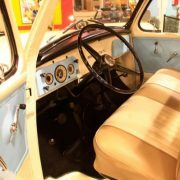 Some other mechanical upgrades to this model were twin traction, wide clear floor bed, two stage rear leaf springs and cross link variable steering. 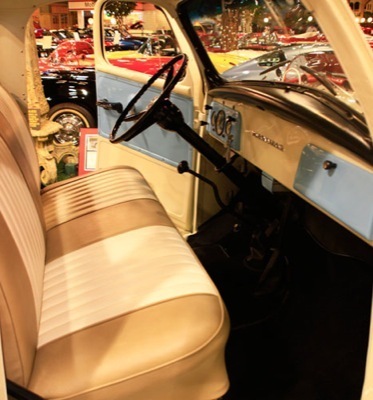 Some interior details are full foam seats, dual inside visors, foam drivers arm rest, map light, ash tray, chromed door and sun visors, parking lamps, chrome mirrors, safety door steps, sliding seat adjustments, ventilation wing windows, and rotary door latches.